Want to learn more about AVSAB? 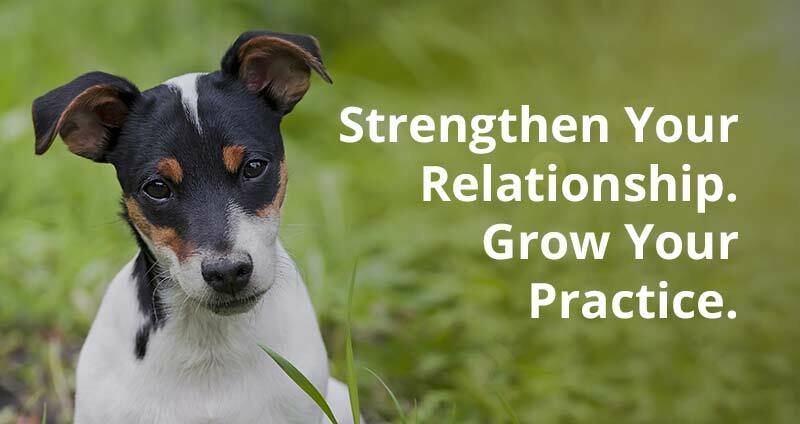 Then sign up for our free quarterly newsletter. 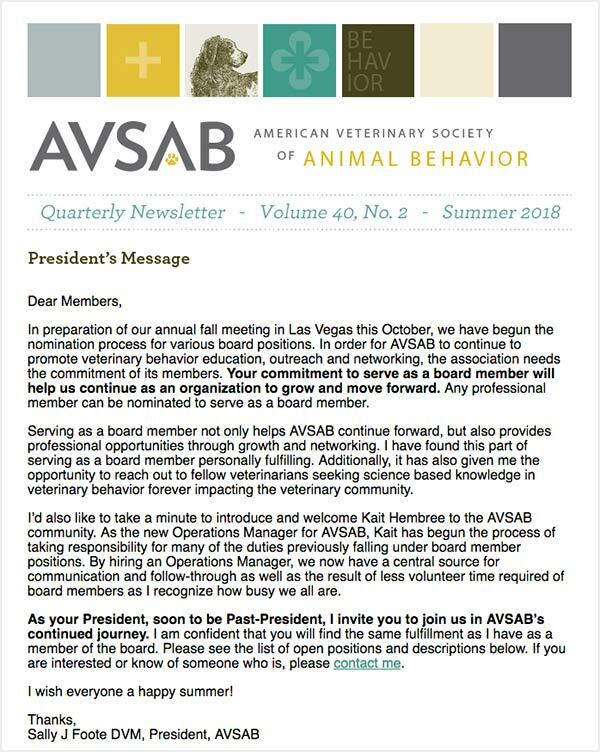 The AVSAB newsletter highlights behavior topics, select AVSAB blog articles, and the activities of AVSAB members. We invite you to download our current newsletter, and to sign up for future ones as well. Note: In order to receive the most current full issue with active links, please subscribe. After all…it’s free!! To see previous issues in full format go to the archived newsletter page. If you are interested in advertising in our quarterly newsletter, click here.